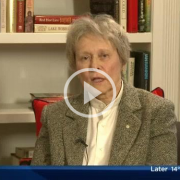 News | Radon Atlantic Environmental Technologies Ltd.
Dr. Roberta Bondar, who made history as Canada’s first female astronaut, joined Global Halifax’s The Morning News Monday morning to share her concern about radon gas. 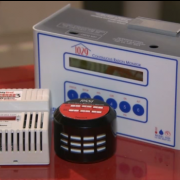 Bondar said it’s important to be aware of radon in the home environment, especially now that the tools exist to monitor it. 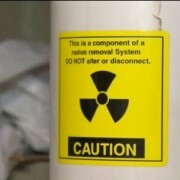 “The province is reminding property owners during Lung Cancer Awareness Month to test for radon. A new online map shows areas with the highest potential risk of exposure. Radon is a naturally occurring gas that is tasteless, odourless, and invisible.It has been identified as a lung cancer risk. Natural Resources Minister Zach Churchill says the new map defines the threat more clearly. He says that four out of ten homes in high-risk areas are likely to exceed the Health Canada guideline. The link to the press release can be found here. Here is the page for the map. Health Canada recommends measuring radon in your home for at least three months, ideally in the fall and winter timeframe. 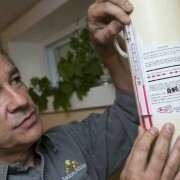 Radon levels can vary significantly over time and, therefore, a long-term test is more accurate. Test kits can usually be found at hardware stores. The Nova Scotia Lung Association is also offering long-term radon test kits at a price of $35 ($40 if you’d like them shipped) Please phone (888) 566-5864 or click here to purchase online.